RED A.i.R. was curated by Angela Serino for Redlight Art Amsterdam, a project intiated by the City of Amsterdam and DeKey/Principaal, in collaboration with Stedelijk Museum Bureau Amsterdam and Kunstenaars&CO. Artists: Laurence Aegerter, Mounira Al Solh, Alexis Blake, Egle Budvytyte, Francesca Grilli, Achim Lengerer, Ahmet Ogut and Niels Vis, Meiro Koizumi (guest artist). The project officially opened in January 2009. The eight artists and the guest-artists were invited to use their physical experience of the situation as starting point for new works and observations about the past and the future of those spaces, and more generally on the overall process of urban transformation of the Amsterdam’s Red Light inner center. From March until September, RED A.i.R. hosted a series of events under the title “Eventless Events” which consisted of film-screenings, public talks and presentations. They took place in different artists’ studios and were aimed at opening up the spaces for a public dialogue on the issues raised by the project and the artistic practice of the resident artists. Those events included also guest-artists and guest-speakers. 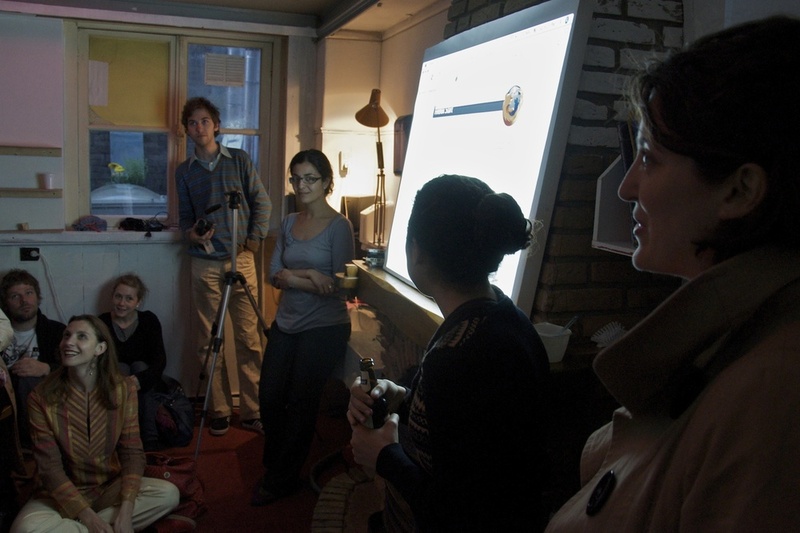 They culminated in a three-day final presentation under the title “A Second Exchange” (25/27 September 2009).